The Overground Line from Barking to Gospel Oak has been closed for months while the line is being electrified, which will bring it into the same system as the rest of the London Overground. It will add the possibility of four- rather than two-carriage trains and so relieve the crush at busy times. The line through SoTo station has been closed since September, due to re-open in ‘February 2017’ so the end is nigh. To understand why it’s taking so long,. see this article from Rail Engineer magazine, it’s a massive engineering project. Steam Dreams, a Guildford based promoter of mainly steam hauled rail tours under the CathedralsExpress banner, has operated steam hauled trains on both rail routes from Southend for several years now. Many of these are routed over the Barking – Gospel Oak line including the Christmas specials. This Saturday’s Christmas train from Southend East (09:09) to Winchester for the Christmas market, picking up at Upminster (09:39-09:41) and West Hampstead (10:40-10:42), is almost fully booked. Express’s from Southend on 14th December 2013 and 6th December 2014. However, on those two occasions she was double heading the train, coupled ‘inside’ classmate 44871. 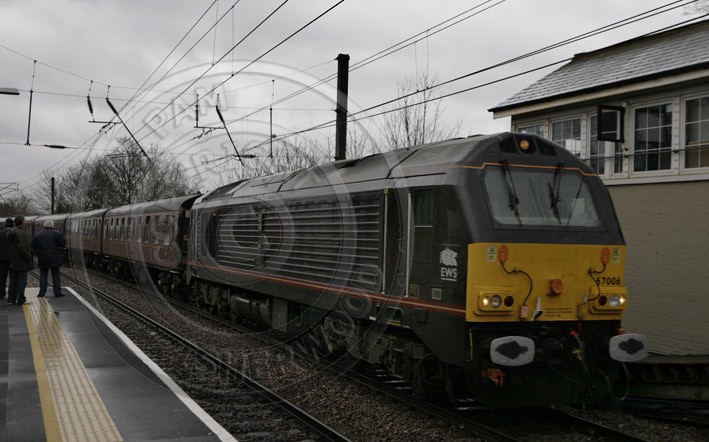 This will be the first time she has hauled a train over the Barking – Gospel Oak line unassisted. other rail info to follow. Last time it actually stopped at SoTo to change drivers. Uninformed me was on the wrong platform to chat to them. There is short notice rail engineering work taking place on the Barking – Gospel Oak Line TODAY. Gospel Oak – South Tottenham operated by single deck buses (due to low bridges). 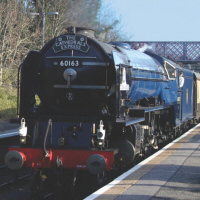 Steam Train through SoTo on Saturday, 14th December. TWO engines too. 9.46 a.m. through SoTo Overground, going from Southend to Chichester. See photos here of the engine. Trip run by Steam Dreams. No guarantees re the train, last time they swapped the steam engine for a diesel. 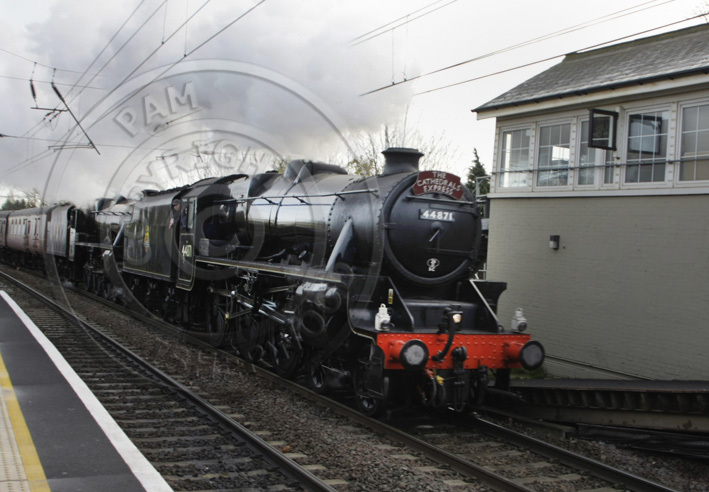 There’s a steam train coming through South Tottenham station on Saturday morning, on its way to Bristol from Southend. 9.44 a m 16th March. From the Cathedrals Express company, it’s one of their regular leisure excursions. Here’s the programme. Don’t forget to bring a hanky to wave. Disappointing, the steam train was replaced by a diesel. Still trying to find out why.